The complex interaction of variables lends power to design. 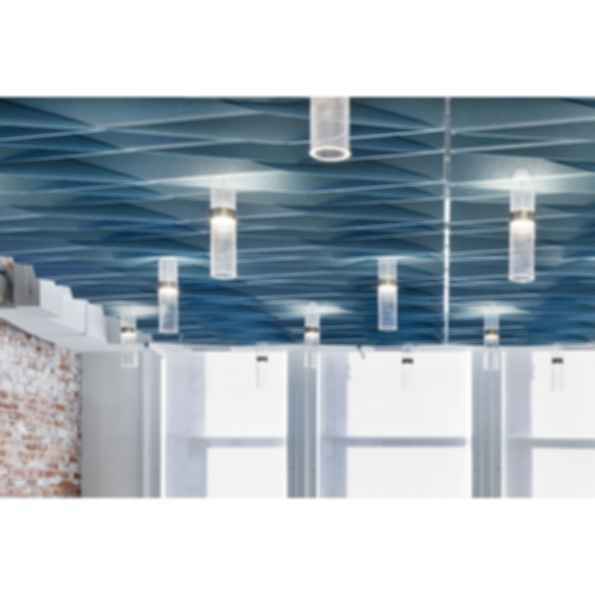 Using our Soft Sound® acoustical material (100% PET plastic with up to 50% recycled content) and dimensional patterning, SoftFold® achieves acoustical dampening while creating a subtle play between light and shadow. It offers an award-winning combination of design and functionality.